The Canadian Museum of Nature is a federal Crown corporation and Canada's national museum of natural history and natural sciences. It promotes awareness of Canada's natural heritage through permanent and travelling exhibitions, public education programmes, active scientific research, a dynamic Web site, and the maintenance of a 10-million-specimen collection, which is based at its Natural Heritage Campus in Gatineau, Quebec. The Museum is working with partners to enhance its national role and to develop national programmes and activities on themes of environmental change over time. The four scientific institutions of the City of Montreal attract nearly 2 million visitors per year. The Biodôme is unique, with its five ecosystems under one single roof: the Tropical and Laurentian Forests, the marine life of the St-Lawrence, the Labrador coast and sub-Antarctic islands. The Botanical Garden is one of the largest and most beautiful in the world, with 22, 000 species and cultivars, 10 greenhouses and more than 20 thematic gardens spread over 75 hectares. The Insectarium, one of the biggest in North America, has more than 250,000 live and mounted specimens. As for the Rio Tinto Alcan Planetarium, there is no better way to explore the wonders of the universe. The New Brunswick Museum, a provincial institution funded by the Province of New Brunswick, collects, preserves, studies and exhibits the province’s and Canada’s cultural and natural heritage. As well as its remarkable natural sciences collection, the museum has expanded to include one of the largest collections of 19th century decorative arts and Canadiana in the Atlantic Provinces. The museum offers three floors and 60,000 square feet of exhibit spaces and a wide range of public programs. 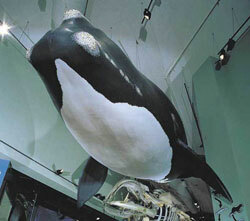 At the Nova Scotia Museum of Natural History, visitors can get nose to nose with a Pilot Whale skeleton or the world's most accurate life-size Sei Whale model. They can check out the fossil evidence for North America's oldest dinosaurs - 100 million years older than Tyrannosaurus rex. Or they can be playful in the Bone Zone or peer down into a Bald Eagle's nest. Live displays vary with the season - local wild mice, snakes and turtles, frogs and salamanders, fish, bats, spiders, bugs, poison ivy, carnivorous plants. 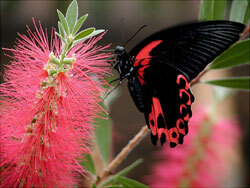 Naturalists are on duty to interpret and assist visitors. The Prince of Wales Northern Heritage Centre is the central museum for the Northwest Territories. 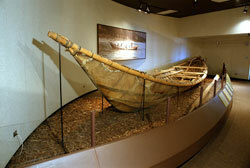 Its museum collections and exhibits focus on the human and natural history of the Northwest Territories. The PWNHC also houses the Northwest Territories Archives, and administers a variety of funding and outreach programs that support community museums, culture, heritage and the arts throughout the Northwest Territories. 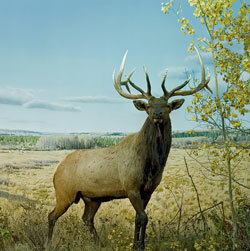 In the galleries and exhibitions of the Royal Alberta Museum, visitors can explore the natural and human history of Alberta. 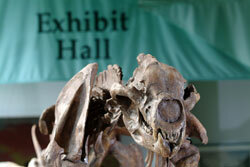 Through 40,000 square feet of exhibits they can visit the mountains, prairies, forests and parklands of the province. 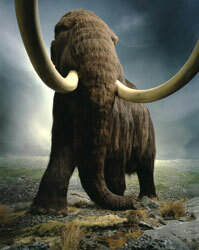 Discover plants and animals from the past and present or examine gems, minerals, and precious metals. The Royal British Columbia Museum is the only organization in the world dedicated specifically to the preservation of the human and natural history of British Columbia. It is a place of discovery; through three unique galleries and the Archives, the Museum showcases its collections. 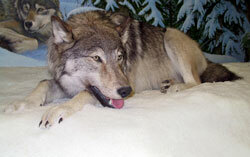 Highly realistic and inviting dioramas provide visitors with a sense of walking back through time and of having xperienced authentic settings, including those of the Ice Age, coastal and forest regions, Old Town and First Nations cultures. The Royal BC Museum also features temporary exhibitions of international renown with added programming to enhance the visitor experience. The Royal Ontario Museum is an internationally renowned museum and a popular attraction in downtown Toronto. Opened to the public in 1914, the ROM has grown to become Canada’s largest museum of world cultures and natural history, with some six million objects in its collections. 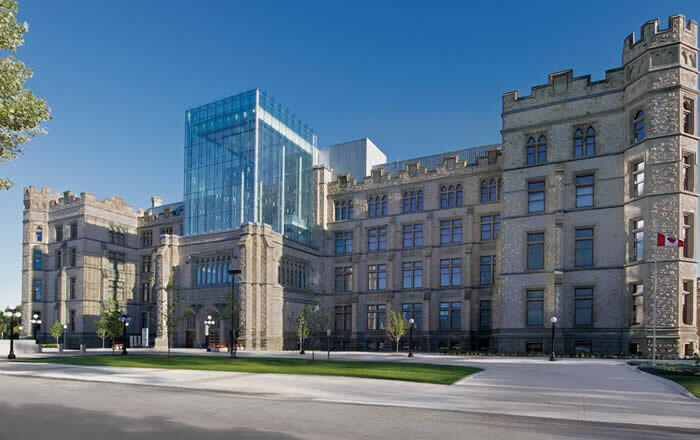 The ROM offers engaging galleries of art, archaeology, and natural science from around the world, with a spotlight on Canada’s culture and natural history. The Museum also conducts important scientific and academic research around the world in partnership with prominent institutions and governments. Three galleries and an incredible amount of educational activities! With the Earth Sciences Gallery, travel through three billion years of Saskatchewan’s geological and fossil history and discover everything from volcanoes and gold, to dinosaurs and glaciers. With the new Life Sciences Gallery, see Saskatchewan and our Earth from a new and exciting perspective. With the First Nations Gallery, trace the history and culture of Saskatchewan’s First Nations over the past 10,000 years. The Manitoba Museum is the province’s largest heritage centre renowned for its combined human and natural heritage themes. The institution shares knowledge about Manitoba, the world and the universe through its collections, exhibitions, publications, on-site and outreach programs, Planetarium shows and Science Gallery exhibits. Eight interpretive galleries explore the history and environment of the province from its northern Arctic coast to its southern prairie grasslands. The Vancouver Aquarium, an Ocean Wise® initiative, is home to thousands of incredible ocean species and amazing aquatic life. It’s also Ocean Wise headquarters, where our scientists, educators and conservation experts do their work, not only to protect our oceans but to inspire others to join us in our mission. 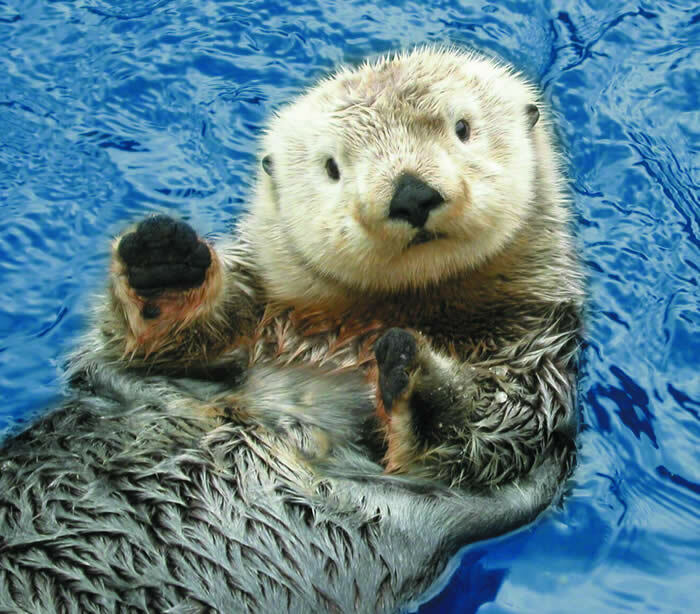 Since opening in 1956, the Vancouver Aquarium has connected more than 40 million people from around the world to our oceans and all the wonders within them. The Yukon Beringia Interpretive Centre is designed to tell the story of Beringia. Featuring dynamic new exhibits, the Centre seeks to introduce a world of woolly mammoths, Jefferson's ground sloths, scimitar cats, giant beavers, the environment of the steppe tundra and North America's first people. It explores the discovery of fossils, frozen mummified remains and other paleontological and archaeological finds throughout the area. The Centre incorporates lectures, camps and recreations of early archaeological and paleontological sites. 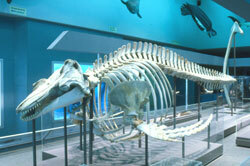 Located at the University of British Columbia, the Museum contains over 20 000 square feet of collections and exhibits. 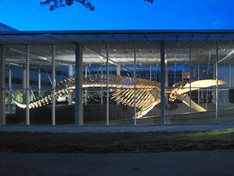 Patrons can participate in a variety of educational programmes celebrating biodiversity while visiting the largest blue whale skeleton on display in Canada. The Museum also offerson site teaching labs allowing visitors to interact with a variety of specimens while learning how researchers use the collection. The Redpath Museum functions as an independant academic department unit within the Faculty of Science at McGill University. Its mandate is to foster understanding and appreciation of the diversity of our biological, geological, and cultural heritage through scientific research, collections-based study, and education. Built in 1882 by Canada's greatest Victorian naturalist, Sir William Dawson, it has its own tenure-track academic staff, a modest list of graduate and undergraduate courses and its own program, a minor in Natural History. In addition, over 60,000 school children and students annually interact with the Museum's hands-on science educators and close to 100,000 visitors a year come to view the exhibits. With its current population of about 100 people, the Redpath Museum is more active and productive today than it has ever been. Research at the museum is focused on evolution, from working out the details of the 3,5 billion year history of life on the planet to examining how creatures and systems are changing today. Backstopping the scientific research are the Museum's collections of over three million fossil, animal and mineral specimens and cultural artefacts, valued at over $27 million. This material is used daily for a multitude of academic courses and research projects as well as academic research loans of specimens to other institutions far beyond the university.